Elwood W. Christ, of 212 South Franklin Street, Gettysburg, died at home on Jan. 6. He was 60 years old. Known affectionately to his friends and colleagues as Woody, Mr. Christ was a well-known local historian and Licensed Battlefield Guide at Gettysburg National Military Park. He was born in Allentown, Pennsylvania on August 26, 1953 the son of Warren and Sarah (Strauss) Christ who predeceased him. Woody was a 1971 graduate of Lower Cape May Regional High School in New Jersey and a 1975 graduate of Gettysburg College. He later obtained an M.A. in American Studies from Penn State University – Harrisburg. For many years Woody served as Assistant Director of the Adams County Historical Society, where he helped countless visitors and was a regular contributor to the Society’s annual Journal. 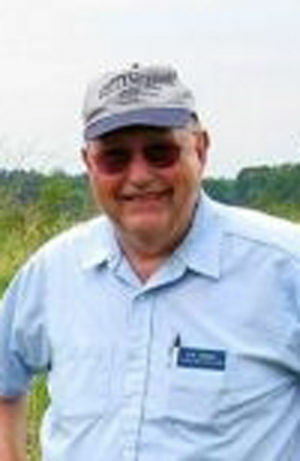 He also served on the Board of the Gettysburg Battlefield Preservation Association for more than a decade. His contributions to Gettysburg’s history and historic preservation were enormous, and included 20 years’ service on the borough’s Historic Architectural Review Board (HARB), chief researcher and writer for Gettysburg’s Historic Building Survey, member of the project team that developed Gettysburg’s Historic District Design Guide, chief researcher for the David Wills House Historic Structures Report, and much more. He was a well-known lecturer and author on the Battle of Gettysburg, and the author of the book “Across a Wide Hot Crimson Plain: The Bliss Farm Fight at Gettysburg.” In recent years he was an active member of the Department of the Susquehanna Wargaming Club. Woody is survived by a brother, Harvey B. Christ, of Shippensburg, – and many devoted friends. A memorial service will be held at Monahan’s Funeral Home, 35 Carlisle Street, Gettysburg at 2 p.m. on Saturday, Jan. 11, with a gathering of friends encouraged from 1-2 p.m. Interment will follow at Evergreen Cemetery in Gettysburg. Donations in Woody’s memory can be made to the Association of Licensed Battlefield Guides, P.O. Box 4152, Gettysburg, PA 17325.